The proper answer to that is "Yes, yes, yes!" I am gorgeous but modest (well, not totally modest) and I certainly don't look or act my age so please don't be afraid of that because I have a LOT left to give to the right person. In fact, my foster mom says I look and act like I'm four years old. Isn't that great? My foster mom also says I am PERFECT! Perfectly house trained. Perfect in getting along with other dogs, on walks, on car rides which is GREAT because I'd REALLY like to go with you everywhere. I never bark. I can bark but I chose not to. It just isn't ladylike, you know. A fenced yard would be awesome if you have it and we could do some exploring together. I like people, either a man or woman or both. I am affectionate and sweet but I'm not real big on being in your lap but never fear, I will stay very close by. Just reach over and stroke my beautiful fur once in awhile and I won't disturb whatever you're doing while we're sitting together. OK - up above I told you I was perfect. Well, my behavior is perfect but I do have allergy issues which isn't something I can control but you can help. My foster mom says it's easy to remember what I'm allergic to i.e. anything with feathers - duck, chicken, turkey, crows, eagles, herons, seagulls....OK that's going a bit far but you get the idea. If I eat anything with an ingredient that used to have feathers I will be breaking out and itching within 24 hours. Just read labels and we'll be fine. The other good thing is I'm not really food motivated so it works well to just feed me the right thing twice a day and I'll look and feel great. My other little request is, I'm very afraid of loud noises, like the 4th of July and it upsets me. So before you apply for me would you really consider your home and the surrounding environment? Is there a lot of loud traffic noise, or noisy kids who scream when they play, etc. ? If you think you can offer the perfect home, I'm willing to meet you and see if we click perfectly. My name is Darby, but my foster Mom always calls me Baby, gee, I am a boy, silly name, but that is ok, call me anything you like, just give me love and I am happy. I am an awesome fellow (well I get told that all the time). I do very well with all the dogs in foster care, and actually any dog I meet, I do like to play with them. I am great at meeting people, happy if they just acknowledge me. I am doing excellent with housetraining, needed a refresher course, and doing just fine. I would love to have someone who might not work full time, I love the company of my person. I am an wonderful boy, who will make a fantastic addition to the right home. “Though I’m from Asian descent, I have a very good grasp of the English language. I understand what you are saying when you speak to me. I like cats but I know what “leave the kitty alone” means and I’m respectful but I want the kitty to know that I’m friendly and would love to play with him. Too bad the kitty doesn’t know as much as I do. I know “no”, “come”, “sit”, “stand”, “ok” (which is sometimes useful), “outside”, “inside”, “go”, “all gone”, “get in the car”, and I know my name, “Sam”. 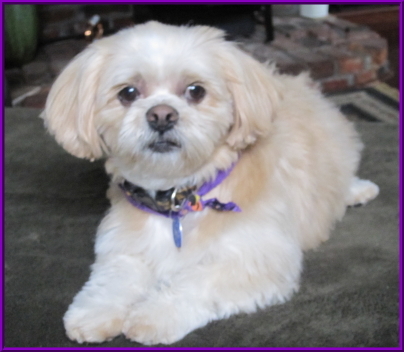 I’m a big, solid, gorgeous Lhasa with a beautiful silky tail and long pendulous ears. I would look incredible if the groomer didn’t keep cutting the rest of my body short. 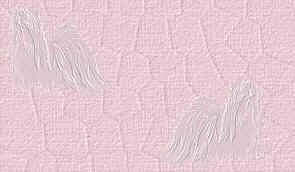 I have just the perfect hair for letting it go natural and keeping it brushed, gleaming, and tangle free. But I don’t mind the puppy cut. I’m used to it after all these years. I am used to being the only dog and I’ve been spoiled they tell me but I think “spoiled” is a relative term. I’m house broken, happy and want to be affectionate and be near my person. I enjoy car rides, trips to the nursery, even the veterinarian’s office is a fun outing for me. My favorite toy is a stuffed carrot and fresh carrots are a beloved treat for me. I really enjoy going on walks, and I’m liking being around a lot of other dogs. There is always something exciting going on when a whole gang is gathered. I prefer to stand back a bit, though and stay out of the line of fire. My humans had to give me up because they moved to a facility which wasn’t very healthy for me. It was sad to say “goodbye” to them but they know I have a long life ahead of me and living in a regular home is what I need. I thought I was managing there pretty well but now that I’m in a home with a yard and it’s quiet, I can understand why they wanted this kind of life for me. I’m a pretty mellow fella’ but I am anxious with new situations. I think that’s normal for most anyone. I’m trying to learn the ropes around here. I’ve only been here for three days and I think I’m doing a good job. I will tell you if I’m scared by growling. It’s the only way I have to communicate. Then if you leave me alone and walk away, I’ll come to trust you, and eventually we will get along very well. “….thought you might like to hear how I’ve been doing and SEE for yourself, too. Wow…did I ever get a terrific bath and groom this morning. My hair looks like Ivory Soap it’s so white. My coat is growing out, I got my ears trimmed a little bit and just look at my tail. It’s amazing! I have adjusted to living with other people just fine. I’ve been out visiting and getting socialized. I’m doing really well with other dogs and I’m sleeping in a dog bed on the floor. I tolerate it but I’m really looking for a home that will let me sleep on the bed . I am not obtrusive about it. I generally stay on the end and side and don’t get in your way. You will hardly notice I’m there but I’ll know that you are there and that will give me comfort. I am loads of fun to be around. I’m happy just to sit still but love being out and about. Hi, my name is Lil’ Bit. I lived with other dogs who were larger than myself and because I was the smallest in breed and am small for my breed anyway, everyone just called me “Lil’ Bit”. I loved my human dad. He is such a kind man and we had a lot of fun together. He was my very best friend and we were never apart. He has Parkinson’s Disease and now needs to move to a place where he can get some help with every day kind of things so I am looking for a new home. I really like going on walks and I travel well. I had to come all the way from Milwaukee Oregon. I don’t think you need to be home all day as long as I have a safe place. I don’t have to be with another dog, I’ve gotten used to being the only dog since my dog family was elderly and gradually they all passed away until there was just me left. I’m a really nice dog and I’m happy and it doesn’t get much better than that! Isn’t summer great? The rain is gone, the sky is blue, the air is full of insects and fresh smells, and it just feels so great to be out of doors again. We have been taking advantage of the recent great weather to get in some play time together because that’s really our favorite thing to do; just play with one another. We are a very bonded mother daughter pair and it’s not easy to find two lhasa females who get along as well as we do let alone are also related. You could be the first on your block! We are two of the sweetest Lhasa girls you will ever meet and we are very funny and creative. We could probably have our own stand up comic show and never run out of material or shenanigans. We know…we look elegant with our beautiful coats and long eyelashes, and we can present quite well as a great looking pair. But we are very friendly and will soon be jumping on you, asking to be petted, and asking to play. Kiki sits up on her haunches like a prairie dog when she wants attention. She just does it all of a sudden. One moment she is somewhere and the next she has silently come up to you, reared up, and is staring intently at you. You can’t help but giggle. The girls are great on a leash and love walks. They think car travel is a special treat, and are about as easy going as two dogs could be. They would be the ideal pair in a household with no female dogs. They are Lhasa, remember, so they do have territorial issues which can come up. Occasionally a small female dog will come into the foster home and they will decide after a few weeks that she needs to know her place. Foster dad stomps his feet at his petulant toddler girls and they stop. They just need a firm hand. But really, if you have these two you wouldn’t need an extra female. They do fine with other males unless they are very large. They live with a very large male dog who normally doesn’t enter their parts of the house but with all of the firecrackers going off this month, he likes to be in the center of the house. Molly and Kiki bark at him to let him know he’s in their territory. He looks at them with a bored expression and foster dad stomps his feet and shakes his finger at his girls and they stop. Of course they have no idea that the big dog is so afraid of the fireworks that nothing they could do could make him move. 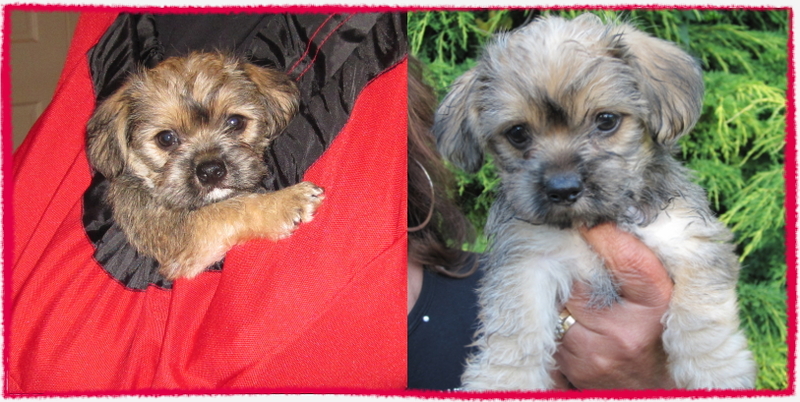 Molly and Kiki have been looking for a home for a long while. They lost their owner when she had to choose to move to a place which afforded her more dependency and have been looking for a home ever since. They are waiting for the special home which would be willing to take in a pair. But what a pair! Why Am I Named Twister? I'll bet right off the bat you're wondering why I'm named Twister. Hah!!! I'd like to know too because I've never figured it out. I don't dance like Chubby Checker and his famous Let's Do The Twist. I'm surely not one of those whirlwind weather storms called a twister. The only thing I can think of is when I'm loved by that someone special my body gets so wiggly and excited that someone may have thought I was going to twist myself inside out with glee. I'm a very devoted little rascal once I know I'll be loved forever. The volunteers at Furbaby Rescue said they wish they could keep me for themselves but they're smart enough to know that they can't keep every great dog that comes along. What I need in my next home is an owner who is kindly and lovingly in charge. I'll respect your authority if it's given in the Lhasa fashion and I'll love you to pieces for it. I wouldn't mind being an only child but another small breed female dog wouldn't be all that bad. Just be sure she's cute, please!!! Just kidding!!!!!!!!! Let's talk about that one, OK? I'm not a biter except in the past I have tended to bite into too many pieces of food causing me to plump up just a little bit. And that brings up another subject, I MUST, MUST, MUST have an allergy free diet and that goes for treats, too, which will help my waistline as well. Allergy free is actually quite easy and affordable so please don't let it scare you. Just think about all the rawhides, chews and treats you won't have to buy because they aren't good for me. I can help you save money!!!!! Then you could buy me a squeaky toy now and then with what you save on junk food. What a concept!!!! Ready to meet me? Better yet, ready to offer me my forever, dream home? I'm ready to pack my bag and go with you! material. I might get into trouble with all my love for laps and snuggling. how to "sit", "stay" and all of that. handsome as I am now or even better. Kirby has had a rocky few years and been given up twice. The first time because his family had children and they didn’t have time for him. Friends of the family kindly took him in where he has lived the past three years but now they cannot keep him due to changes in the family. Fortunately, they knew to bring this terrific dog to Furbaby Rescue. His first couple of days were very difficult. He sat by the window with his blue leash in his mouth waiting for his humans to return. He didn’t want to eat or drink and his foster mom was very concerned about him and feared a down turn for him. He is so loved, gets much attention, and has some really fun dogs to play with and we are happy to report that he is coming out of his brief bout with depression. His foster mom is taking him on errands and on visits with friends and it’s easy to see that he’s reveling in the attention and stimulation. He’s completely housebroken. A male Lhasa. You read that correctly!! Kirby is a fun loving and really quite handsome fellow looking for a place to call his own. Homer has come back to Furbaby Rescue through no fault of his own. "Dog-poo" happens and that's the story of Homer's life. No, we don't mean "dog-poo" in regards to house training because Homer is very well trained in that area. We mean it like "stuff" happens. Homer was lovingly renamed Buddy but since back with his original foster Mom he seems to have reverted to responding to Homer. I guess he knows he starting over one more time. When Homer was in rescue mid-2007 it was due to his owner having passed away and some thoughtless soul turned him over to a shelter rather than finding a perfect home or contacting a rescue. 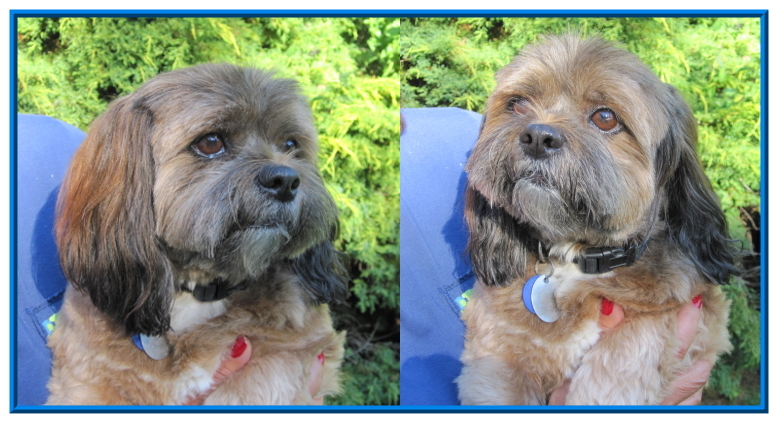 Homer was so terrified at that shelter and suddenly being separated from his loved ones but as Lhasa Luck would have it Furbaby Rescue came running and took him to a foster home. 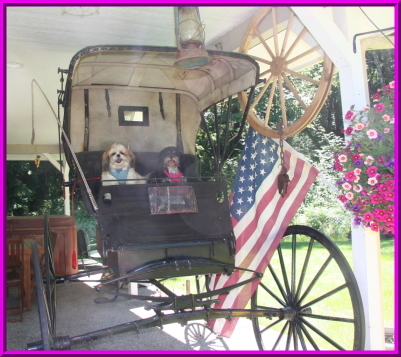 In May of 2007 a great new home was found after some searching but after four years another very sad health related issue has occurred with the owners and Homer/Buddy has been lovingly returned to rescue. Thank the Doggie Gods that his present owners did the right thing this time by returning him to Furbaby Rescue. So here we have Homer who loves car rides and walks. Even though he's 8 years old - a great age - he looks like a puppy when he struts around with a toy in his mouth. This dog is so animated Walt Disney could have used him for a movie. He wants to share the bed with you at night (note the "bedroom eyes" on this boy) but you won't find that you're crowded out. Just give him a little corner and you'll never notice except for that warm feeling humans get when they know an animal loves them enough to want to be that close. Unlike many other dogs that come into our rescue, Homer's most recent owners took the time to provide a great deal of history, Homer's likes and dislikes, diet information and medical history and other helpful information to help you quickly adjust to each other. Receiving this much information about a dog is rare in the rescue business. Upon inquiry much more information is available. Don't let the age deter you. You could have an awesome life with this handsome boy. He surely deserves yet another good home. Make it true that the third time is the charm for Homer. This is a story of a dog…a wonderful dog…who has three names. “Buddy my angel”, with golden hair and a little tuft of white almost like a halo is one name. He is so much like a human that his foster mom can’t believe it. He communicates every need, want, worry, and desire with a sad moan. When he’s hungry, he moans. When he is thirsty, he pulls his water dish (which is elevated atop a wrought iron stand) into the middle of the room to make it clear that he needs water! When he loses a toy under furniture he lets you know and when he has to go potty he lets you know, by moaning. When he wants to play, he brings you his ball, sits and stares at you with it in his mouth, moans, then spits it out at you as if he were throwing it to you in order to engage him in a game of ball. He must think his foster mom is not very bright but patiently tries his best to let her know what he wants. When it’s bed time, he runs up the stairs to the bed or if they are not convenient, he jumps up, comes right next to his foster mom, curls up into a ball right next to her side, and sighs the sigh of a deeply contented dog. He goes everywhere with his foster mom, in the car, on errands, he helps her work in the yard out front. He is tethered but usually only moves if he’s sitting somewhere she needs him not to be. He is soft, cuddly, soulful, considerate, loving, happy, energetic, and just a best best friend. “Buddy don’t bark” is his second name. He can be protective and bark actively at anyone coming towards him. If he looks left and sees someone coming at him he barks. If he looks right and someone is walking in the opposite direction; he has no reaction. In the car he sets off the alarm because anyone he sees he barks at. He’s almost mastered not barking at doorbells he hears on television. He’s getting better about not worrying so much about someone coming up the stairs, though anyone coming through the front door he will bark at. A lot of dogs bark when they are on a leash or at people but this could be an issue for someone living in a cozy neighborhood. His foster mom is working hard to lose this second name of his but it’s because of the effort involved that he acquired this name. “Buddy you spit that out right now” , is name number three. If you keep a clean house and don’t have stuffed dog toys around you may never have to call him this. He does fine with the kind of chewy toys that big dogs would use and he’s usually pretty good about not swallowing pieces of tennis ball though it’s best that those are used under supervision. So you buy him a ball that’s hard rubber and he’s happy. Buddy is a lot of fun. 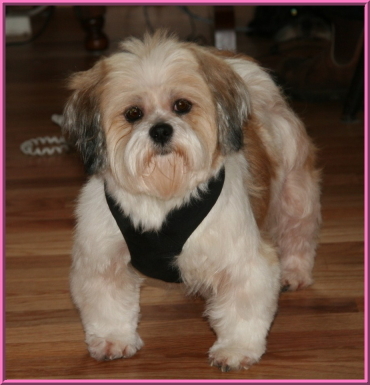 Most Lhasa have great personalities, some attitude, and are very smart. Some are super funny, many are angelic (though with portable horns), and all of them surprise you every day. They charm, entertain, comfort….and make terrific company. Buddy is all of these things but he seems almost human sometimes. He just needs a little more help than some Lhasa in monitoring what he puts into his mouth, and in tolerating some barking at specific times. Winter is coming and you can have a heated blanket or save the B.T.U.’s and snuggle up next to Buddy your very own golden angel. 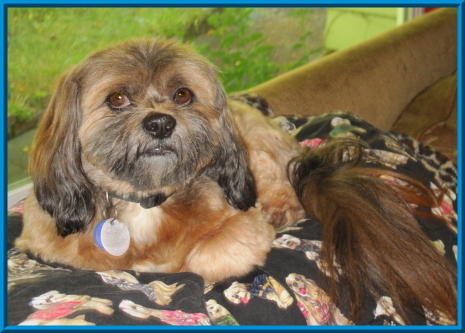 Bodie is a sweet and quiet Lhasa who spent most of his three years as a stud dog amidst many other dogs. Why would be he so friendly and well socialized and easy to have around with such a background? That is the mystery his foster mom is trying to unravel as she spends quality time with him. He is very people oriented. He can be left alone but does not like to be caged or enclosed in any way. He walks well, travels in the car like he’s done it his entire life, and makes himself at home whichever room YOU are in. He’s a healthy dog. His bangs were very long and causing some irritation of his eyes so he’s having some soothing eye ointment applied for a couple of weeks. He is handling this very well. He just got his hair trimmed up. It was so long and choppy before… that short and choppy, but evened up some… is the best we could with round 1. The great thing about Lhasa is that they can grow hair pretty quickly! Bodie is very anxious to please and is working diligently on learning potty manners because he never had a place to “go” which was special or different from his living quarters. He’s young and with good scheduling we are confident he will get the hang of things very quickly. He has only been in our rescue for a few days and even if he were perfectly house trained; the combination of being in a new place, just freshly neutered, with a lot of new male dogs, and no idea how to tell his foster mom he needs to go….we would expect him to need time to settle in. He is showing more submissive traits around the other dogs. He is a little fearful of the flamboyant terriers, in fact. Bodie is a diamond in the rough, perhaps. A little bit like a gangly teenager trying to find his identity. He needs a loving home of his own, people to show him respect, kindness, and consistency, and a friend or family. He’s a delight to have around and didn’t even cry when that big microchip needle went into him. He’s a brave boy, too. 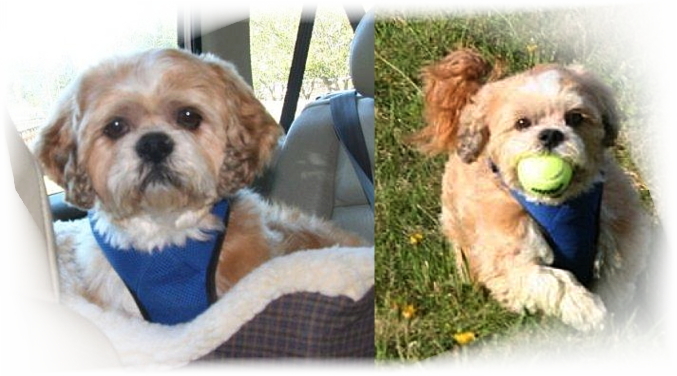 Sammy has the greatest Mom, residing in Orting, WA in memory of Cubby, Toby and Morgan.